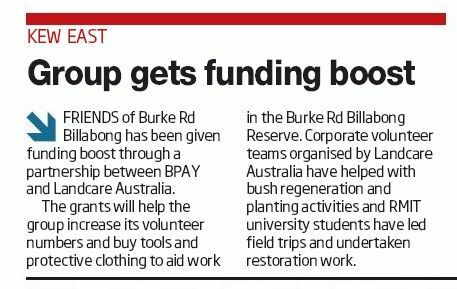 ALL it took was one man with a vision to bring a billabong in Kew back to life. 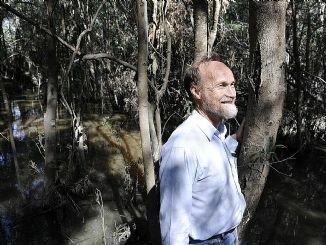 Three years ago Stanley Barker was riding his bike along the Yarra River, near Burke Rd, when he came across the abandoned and weed-ridden billabong. The 64-year-old said it looked "totally unloved" and decided to put a plan into action. "I knew what it could look like, given a bit of work." Mr Barker has teamed up with the Department of Sustainability and Environment and set up a Committee of Management which oversees the area. Mr Barker, who also has a diploma of conservation and land management, volunteers at the 10 hectare property once a week and sets aside time once a month to work with other volunteers. Since then close to 2000 natives have been planted, creating a prime area for owls, parrots, possums and frogs, Mr Barker said. But he said a lack of volunteers meant restoring the area would take longer. "Volunteering at the billabong gives you a sense of ownership, you learn about local indigenous plants and have a hand in creating something beautiful." To volunteer: phone 9890 5092, 0403 419 565 or email "barker_sv at yahoo.com.au" (change 'at' to '@').